Hurricane pork chops and green beans. – Hurried Home Chef! 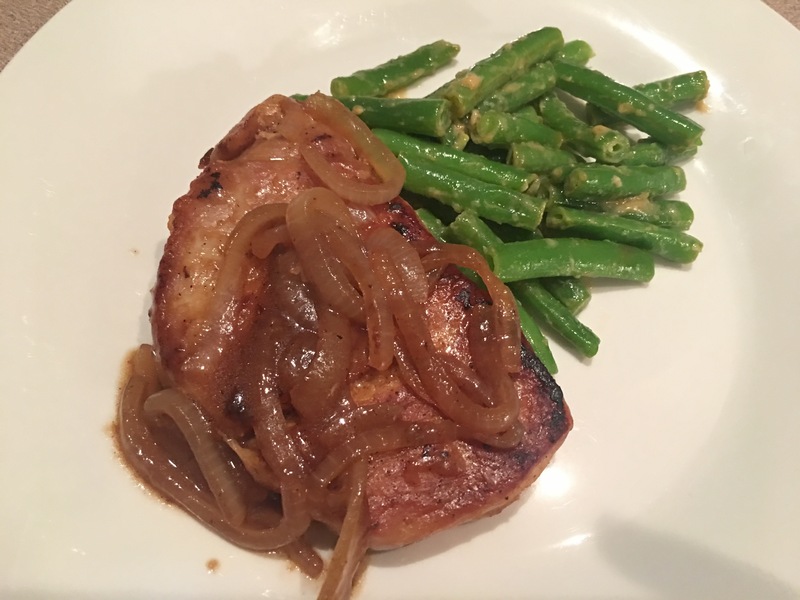 Hurricane pork chops and green beans. The hurricane is almost here and I have pork chops in the freezer. I didn’t want them to spoil, so in the oven they went. I seasoned with some Adobo and put on a baking sheet at 300 for about an hour. 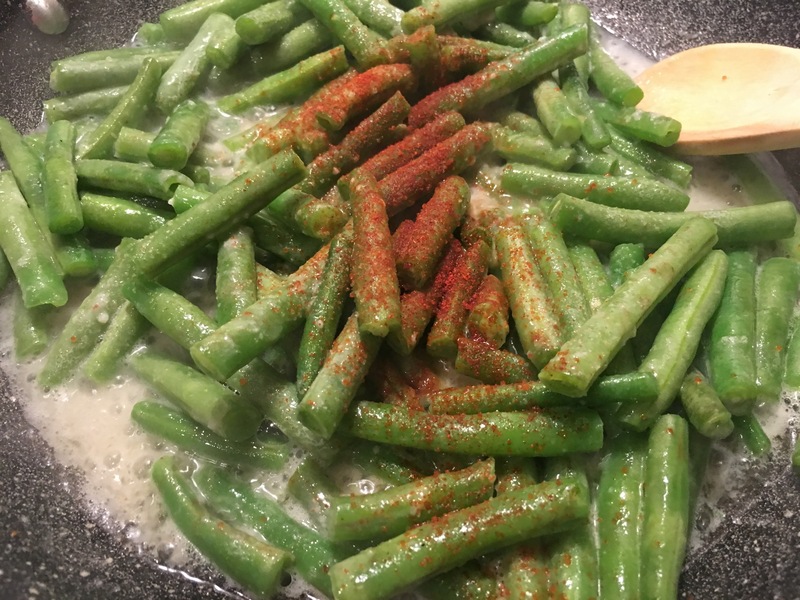 Then I sautéed green beans with some butter and garlic. Then added some cayenne and salt. 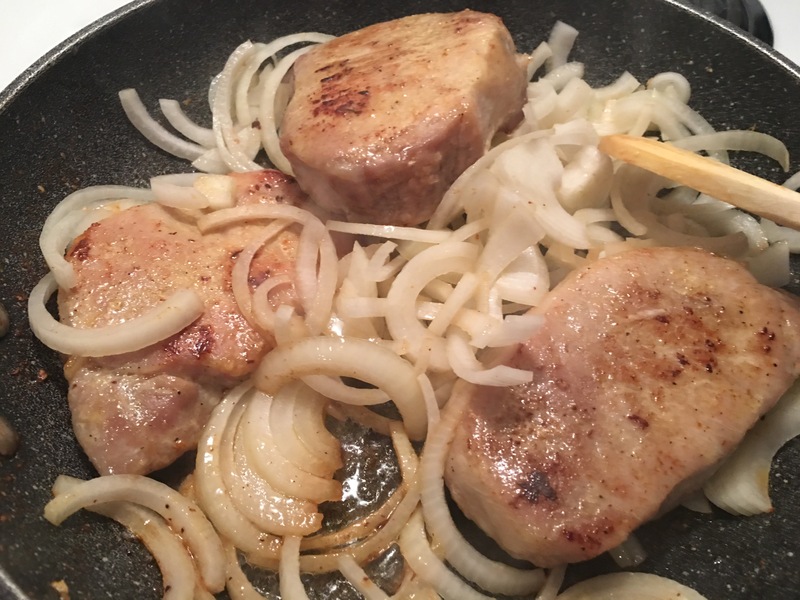 I did this close to the hour mark so I could sautéed the pork chops right after. First I melted some butter then put in the chops and let them brown a bit. 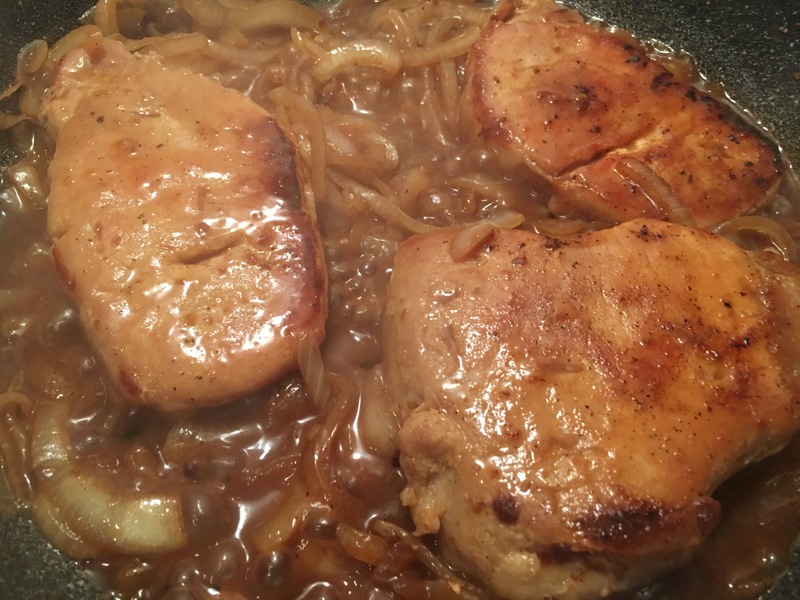 Then I added the onions to brown with them. This is now at medium high heat. I had a pack of brown gravy mix, I just used about 1 tsp to thicken the sauce and added some boiling water. Not bad. Power will be out soon and for awhile. Will put the rest in the freezer so we can eat it once the power is gone. Previous Post Blue cheese and pecan stuffed chicken with spaghetti squash and sweet potatoes! Next Post Turkey chili for a mobile feast.